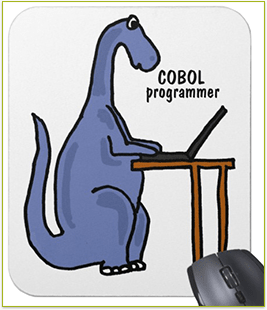 Today as the second generation of COBOL programmers approach retirement age, businesses and organizations are pressed to secure and maintain their mainframe computers and the precious data they process and store. Despite the fact that COBOL goes back to the 1950s and pundits have predicted their demise for decades, mainframe computers still are some of the fastest and most economical systems for processing massive volumes of data. Banks, credit card companies, airlines and government agencies are just some of the large enterprises that continue to use COBOL-based systems to securely process millions of simultaneous transactions. Beyond its traditional uses, mainframe computers are still unmatched. Read below how Walden’s Aptitude Assessment Battery Programming Test can help you evaluate the potential of mainframe programmer candidates and trainees. The AABP evaluates the aptitude and potential of candidates at any level of experience and assesses technical ability and work habits for all aspects of applications programming, with or without prior training. The AABP is self-instructive. There is no time limit, and the average completion time is about 3 hours. Partial credit is allowed even if answers are incorrect. Evaluations are based on performance and identify which candidates will prove to be excellent, above average, average or below average programmers. Most tests fail to evaluate applicants’ aptitude for protracted concentration or long step-sequencing, whereas the AABP identifies candidates capable of sustained and meticulous attention to detail. Such candidates can usually learn programming on their own, by means of instruction manuals. Reports distinguish between candidates best suited for straightforward programming jobs requiring high accuracy and those who appear to do their best work with highly challenging problems.